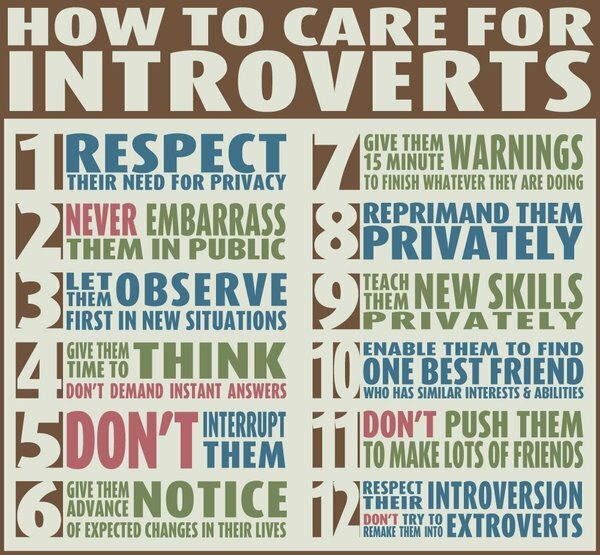 It was nice reading a different perspective since I am certainly an extrovert :) Loves this post!! I know you are :-) Just wanted to express the other side! I'm definitely an introvert and socially awkward at times too. I cannot even begin to tell you the number of times my mother would push me to be more outgoing or talk to this or that person during my middle school years. It would result in so many fights because she just didn't get how uncomfortable that made me. I'm glad that you were able to take something away from my post! I think that's why I enjoy blogging so much. It's an easier way to express myself.